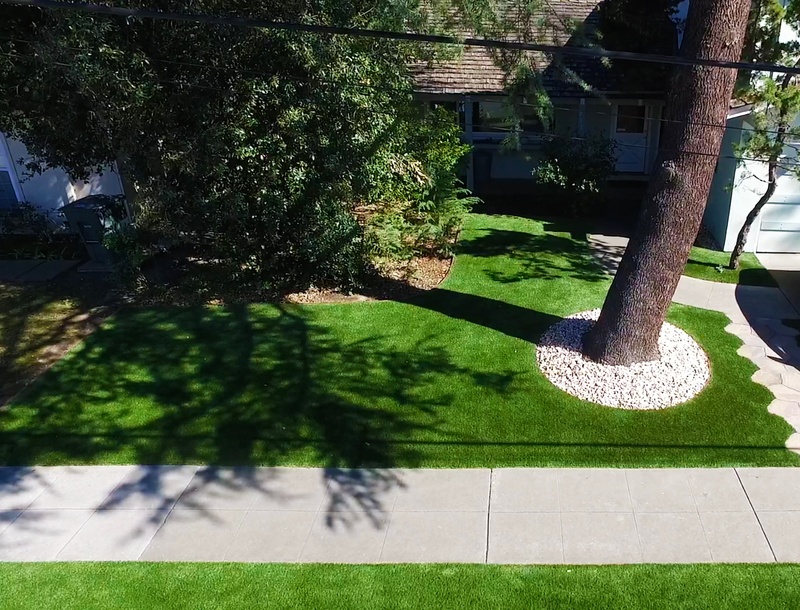 This San Mateo customer was tired of seeing overgrown, dead grass in their front yard so they got in touch with us. We showed them all of our best products, but they ended up choosing the Nutmeg Lush product because of its excellent appearance. 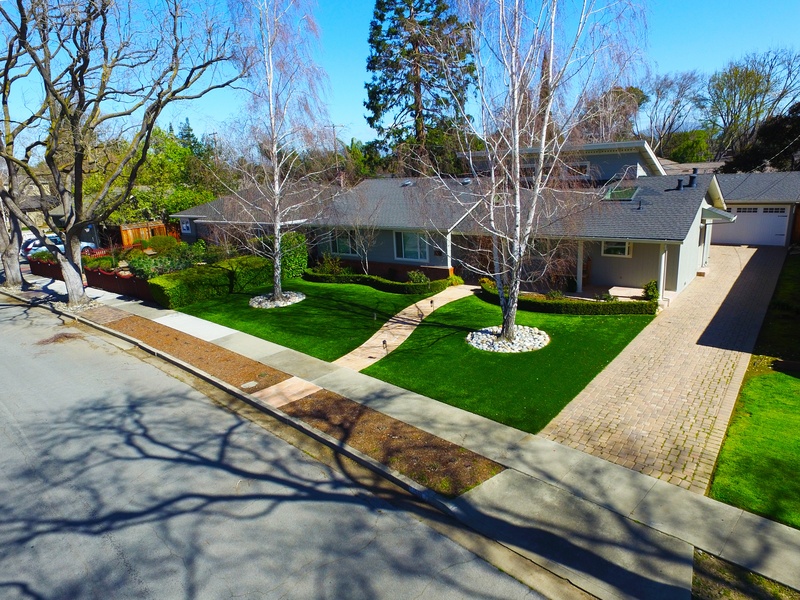 Now they have a beautiful front lawn, and no longer have to be embarrassed about messy landscaping. This customer was having problems getting their grass to stay green. 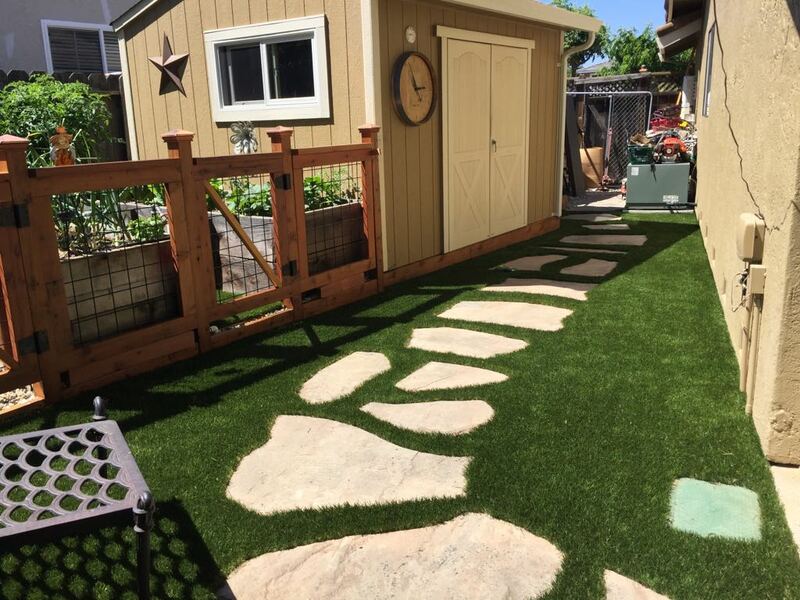 They knew that choosing artificial grass would allow them to have a green lawn for the entire year, so they contacted us. After reviewing many of our products, they decided to go with our HG Fescue product because of how real it looks. Now they have a beautiful green lawn and don't have to worry about maintenance. This customer approached us about getting turf in their yard. They knew that getting turf would drastically reduce their water bill, and would allow them to apply more creativity than natural grass. They ended up choosing our HG Fescue product because of its natural softness and consistent beauty. The result is that they have an amazing turf inlay between a stone path, and they absolutely love it! 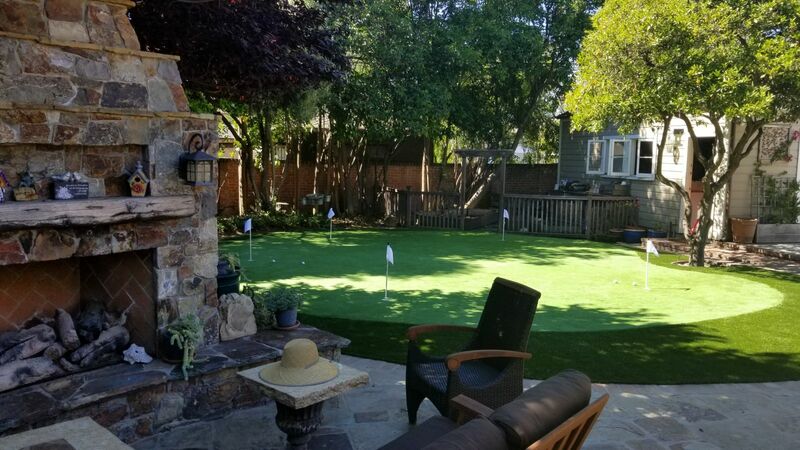 We installed a pro putting green turf as part of an entire landscaping overhaul for a customer in San Jose. They knew that our pro putting green turf is more ideal for serious golfers, as opposed to our standard putting green turf. We ended up going with our Nutmeg Lush product for the turf's fringe. The installation turned out to be some of our best putting green work yet! This customer wanted a special stepping stone inlay with their turf installation. They know that there were many people they could go with but knew that we have the most experience with unique installations. They picked our new product, HG 2XM, because it looks great under all conditions. The result? A great green lawn with stepping stones! 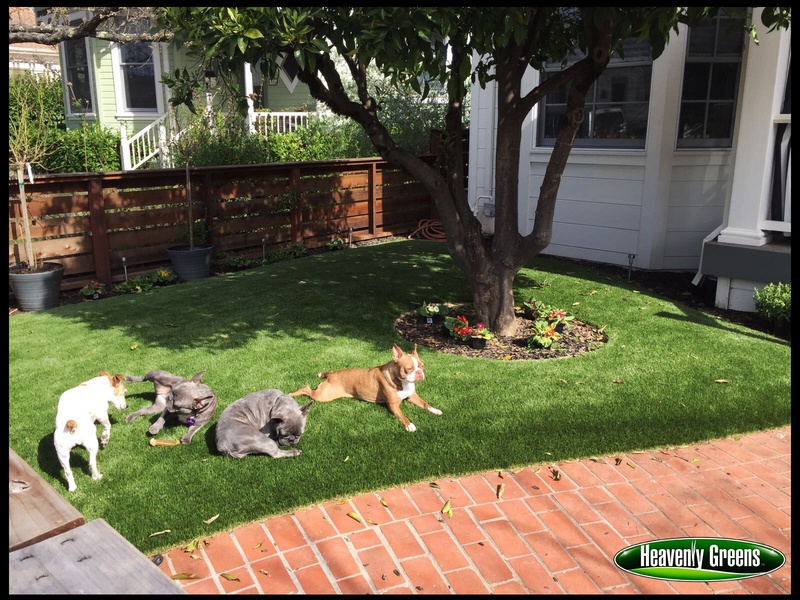 This customer needed a lawn for all of their furry friends to play on. They decided to go with our HG Summer Rye product because of its aesthetic appeal and functionality. The result is that the dogs have an excellent surface to play, fetch, and do what they do best! It's hard to make landscaping projects work in urban environments, such as San Francisco. Usually, urban backyards are quite small, but that doesn't mean there's no hope for them! This customer knew that artificial grass would be a perfect solution to their landscaping problems. Clearly, getting grass to grow was a challenge. But with artificial grass, this isn't a problem at all! This customer contacted us because they were interested in getting a putting green in their front yard. 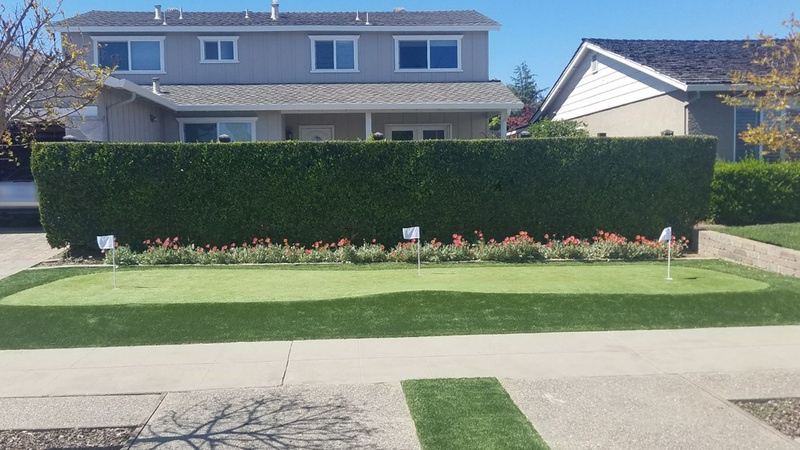 Historically, people have installed putting greens in their backyards, but as of recently, we've seen a rise in the popularity of front yard putting greens. They went with our Pro Putting Green turf product, and our NXM product for the green's fringe. After we finished, we made sure to test it out, and sure enough, the ball's performance mimics that of a natural green! 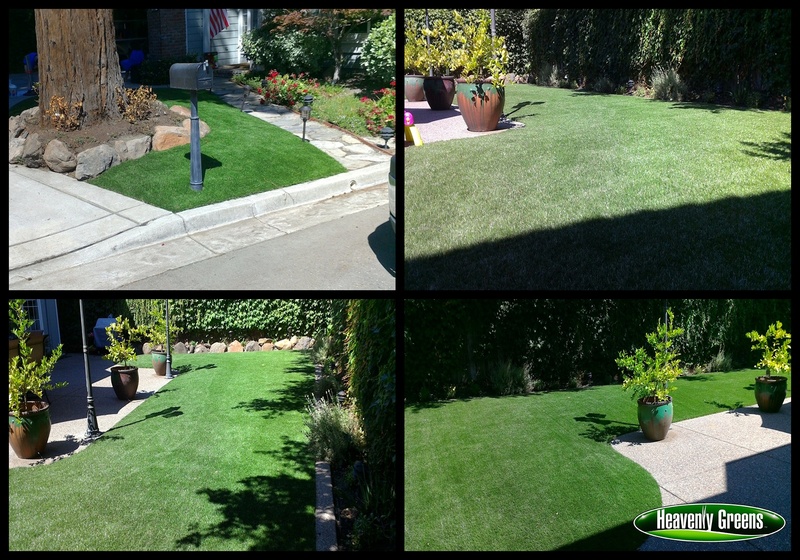 This customer knew that getting artificial turf was a way to keep her front yard looking pristine all year round. She decided to do with our best-seller T-70, for its realism and softness. After we finished, we sent our staff photographers out to take pictures and video. It's definitely some of our best work yet! This couple was undertaking a complete overhauling of both their front and back yard. They knew they wanted something unique, so they chose to install rocks around their tree, as well as a stone path from the sidewalk to their porch. They went with one of our most popular products, Nutmeg Lush, for their front yard. They also decided to get turf in their back and side yards. 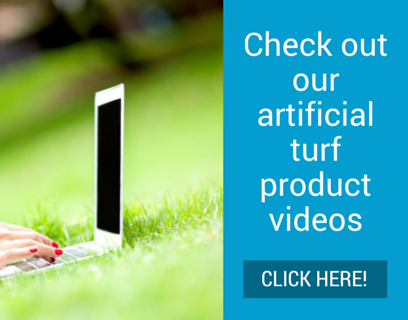 After the installation, they expressed how much they loved the turf. Specifically, how it transformed their front yard from dirt and rocks into a beautiful landscape that will last for years to come!